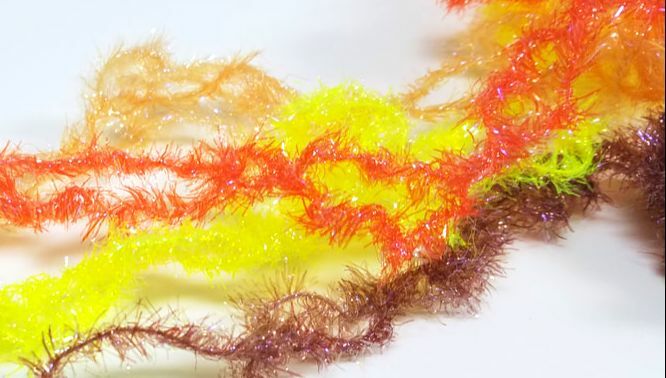 Glissen Gloss is a master of the flash chenille in short to extra-long fibers. 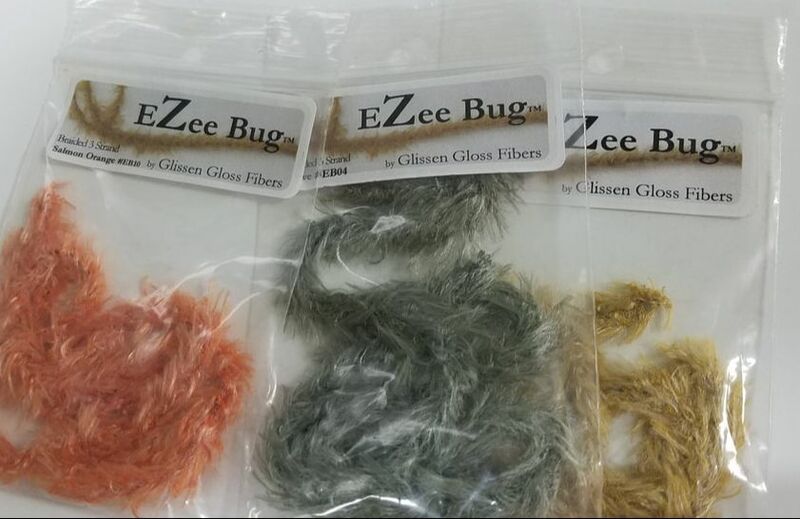 From Glissen Gloss we bring you Estaz and EZ Bug chenille's, with Estaz being the main product coming in many variations and sizes. 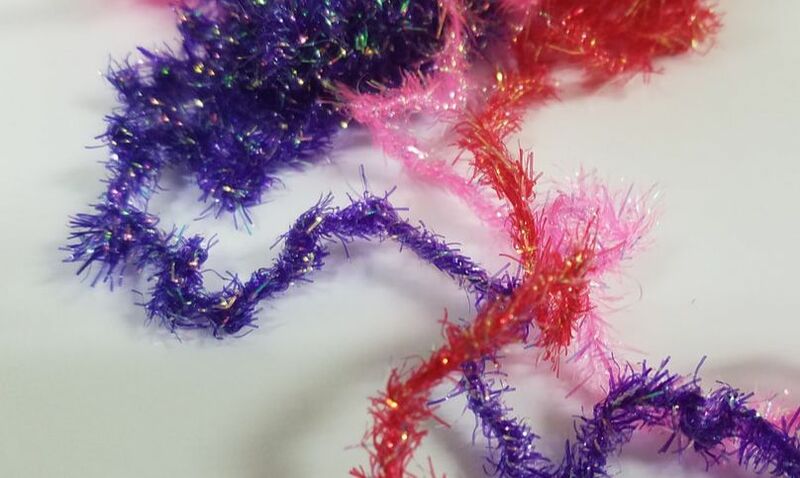 Be sure to check out all of these materials for your streamers and larger nymphs. Estaz Petite is the smallest of the estaz chenille's. 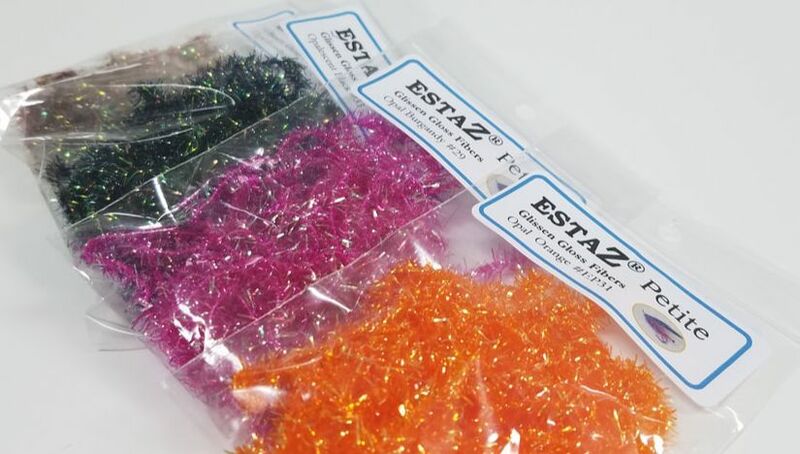 Great for tying smaller flies. Estaz is the medium size of the estaz chenille's. This mid-size estaz is great for any streamer. use it for a streamer body or head. Estaz Grande is the large size of the estaz chenille's. 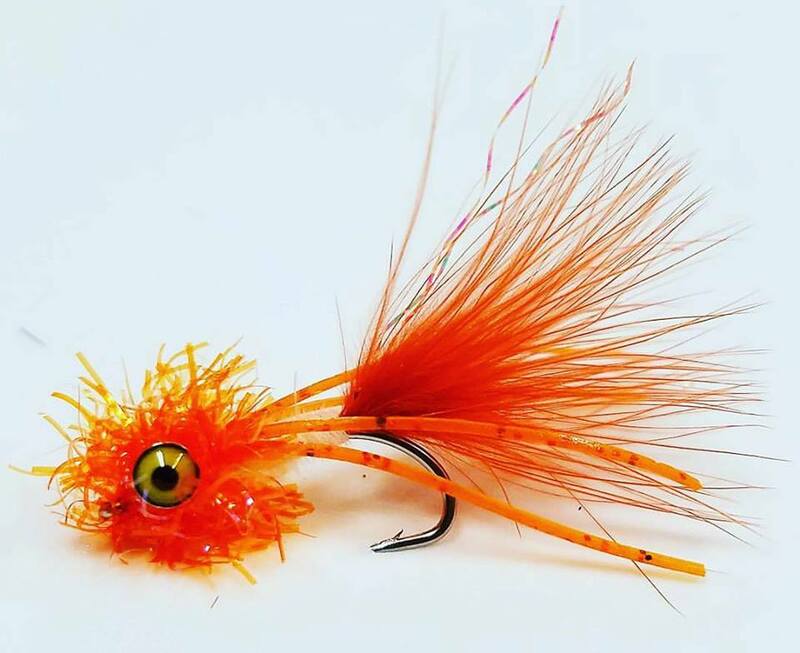 For when you want something that gives a little more bulk to your fly. 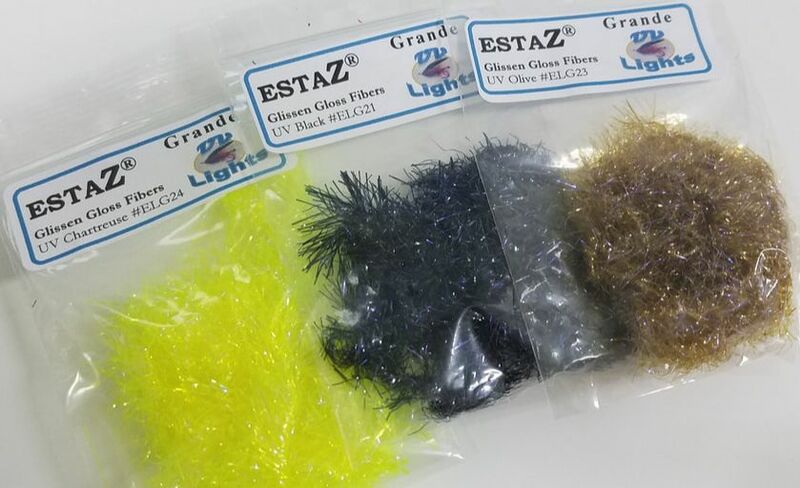 Estaz Grande Lights is the large size but with a UV flash added into the mix giving a deeper, brighter coloration. 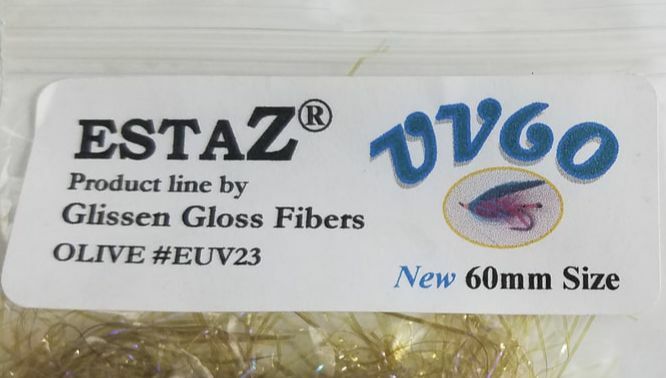 Estaz UV60 is the MEGA of Estaz. 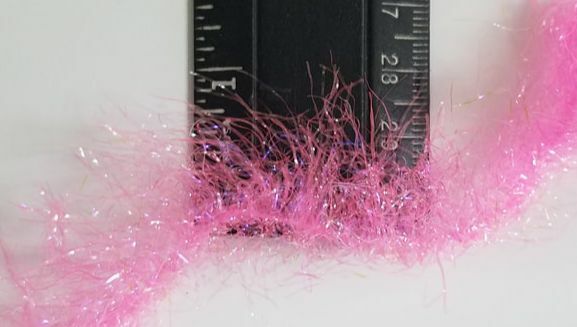 The large of the large, you could use this to tie any big-body streamer or a flash back collar on a steelhead intruder with its extra long UV fibers. EZ Bug is a super shaggy buggy material. 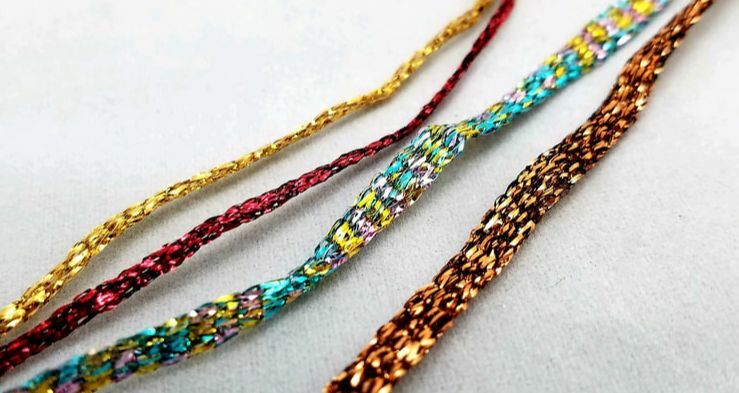 Coming in a thick twisted rope that can be back spun into 3 very useful sizes. This product is awesome for big bugs and streamer bodies. 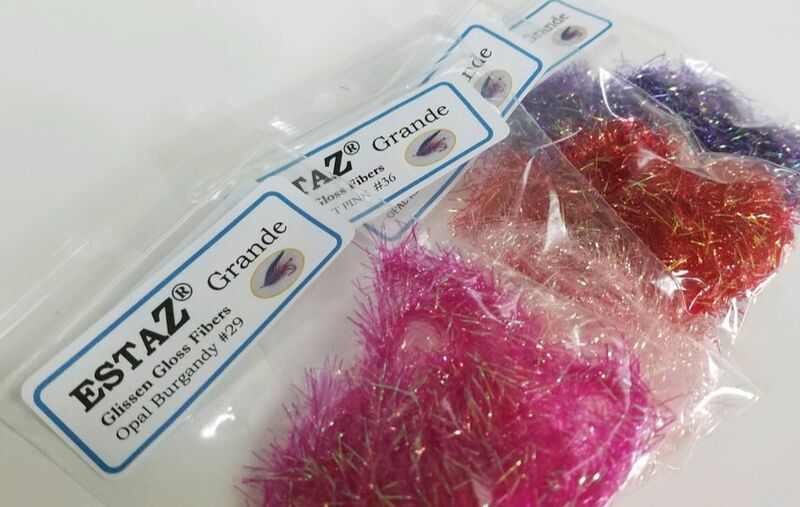 A flat tubular braid, Z-Braid is great body material for for all of your flies. 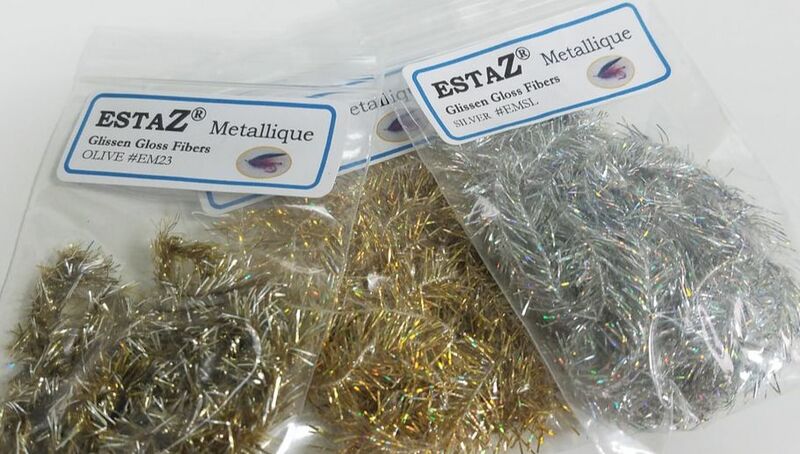 coming in 12 colors and two difference sizes, this product is a great base for your tying selecting. Main uses can be found for spey flies, wet fly bodies, and shell backs.